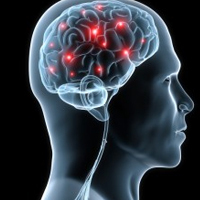 Brain disorders may be caused by various conditions that result in physical and emotional trauma for the patient. Some of these disorders can be treated with proven medications, whereas those that threaten surrounding tissue require a more intense medical intervention. It is vital to combat these brain disorders, which may cause major cognitive, sensory or psychological impairment if left untreated. Although the thought of brain surgery is quite frightening, it may be the best answer for disorders that respond positively to operations. When surgery is not recommended due to the sensitive location of the problem within the brain, modern technology may be able to provide a welcome alternative. One form of treatment that has been useful in treating brain disorders is gamma knife surgery. Unlike traditional brain surgery, this radiological treatment requires no operation. Instead, beams of gamma radiation are used to help shrink and dissolve affected tissues. During the process, a patient wears a helmet that is surgically attached to their skull to assist the physician in targeting the exact treatment area. Surrounding tissues are spared any exposure to this radiation due to the precision involved in the process. One tumor related brain disorder that has plagued patients is acoustic neuroma. This involves a benign nerve tumor located in the inner ear that grows slowly and can cause auditory disruptions in the process. The condition may be marked by hearing loss, as well as a disrupted sense of balance and pressure in the ear. Acoustic neuroma is also often associated with tinnitus, which is a high pitched ringing sound that many patients are forced to experience. Nausea can be another complication from this debilitating disorder. Thankfully, acoustic neuroma gamma knife treatment is available to assist those who suffer greatly. The treatment has proven highly effective in providing relief to thousands of patients with the illness, with the added benefit of no surgical ramifications. Another brain disorder some request treatment for is trigeminal neuralgia. The disorder is caused by a nerve, or less frequently, a tumor pressing on an artery located at the base of the brain. This disorder is characterized by intense facial pain sometimes compared to electric shocks. The pain can last up from several seconds up to a few minutes and persistently return throughout the entire day. Minor lip or jaw movements can result in major discomfort. Patients tend to only feel relief from the pain during sleep, with a possible brief reprieve after they first awaken. Some have found relief from trigeminal neuralgia with gamma knife surgery. This form of therapy has left many pain-free within months, and some no longer needing to rely on medications to diminish their condition. There have been some reports of patients feeling numbness in the face after surgery, which improved over time.